My niece is notorious for sleeping late in the night. Now, back in those days, she would have been given a hot enema with ginger to put her to sleep (that's Ghana for you). 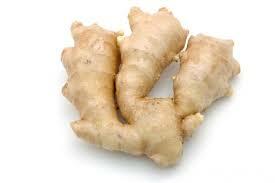 Ginger is so common that it is difficult to overlook its usefulness in hair care. Ginger can be used as a scalp and hair rub to both control your dandruff and stimulate hair growth, according to HolisticOnline.com. Make a rub by grating two ginger roots. Add the roots to 3 tbsp. sesame oil and 1/8 tsp. lemon juice. Place the ingredients into a juicer or food processor and blend until a juice-like consistency is reached. Gently massage the mixture into your scalp. 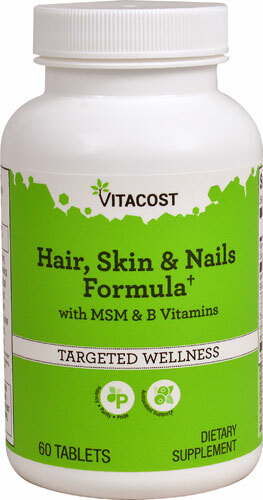 Massaging will increase blood circulation to your scalp, according to HolisticOnline.com. In turn, this encourages hair growth. Let the mixture work for 15 to 30 minutes, then rinse your hair thoroughly. Massage your hair with this rub three times weekly. Here's a video demonstrating the use of ginger for hair growth. Au Naturale Knot out Conditioner For the conditioner it says to apply from roots to end and comb through the hair. When your hair is relaxed, it's more fragile as a result of the breaking of the protein bonds hence using a protein based product fills the vacuum created. The protein won't restore the lost one; it will serve as a sort of adhesive to hold the bonds together. The strength of the protein depends on the level of damage. Light protein can be used as a preventive step before relaxing; mitigating the impact of protein loss during relaxer application. 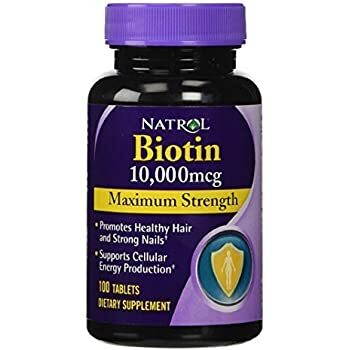 Hard Protein comes in when you have mushy hair as a result of moisture overload to strengthen the hair or if your hair is extremely damaged from chemicals and dyes. How your hair responds to any of these will be the ultimate deciding factor. Hard Protein treatment should be followed by a moisture deep conditioner as it leaves the hair hard. Light protein doesn't usually have the same level of hardness. The Sunny Isle Jamaican black Castor oil is what I've been using for the past 6 days and I must say that I really like the texture and consistency. The difference between the Sunny Isle and Tropic Isle Jamaican black Castor oil for me is the thickness. The Tropic Isle one is thicker and the smell of the ash is quite stronger compared to the Tropic Isle. Aside these, I don't think the results will differ. The essential thing is both brands have to be used consistently to see results. 'Our Organic seeds are roasted and ground by a manual Grinder and then the crushed beans are boiled to extract the 100% pure, dark brown, organic oil. Compared to other brands it is the darkest Jamaican Black Castor Oil because we roast our beans longer which produces more Ash Content in our oil than any other oil on the market' (Sunny Isle). As we are on the journey to regrow our hairline or edges, what can be done to prevent or protect the edges from damage? We already know of leaving out the edges when you braid. But what about getting them to look sleek? Get a gel with a good hold. I avoid those black hair gels for the reason that they contain protein which leaves my hair stiff. 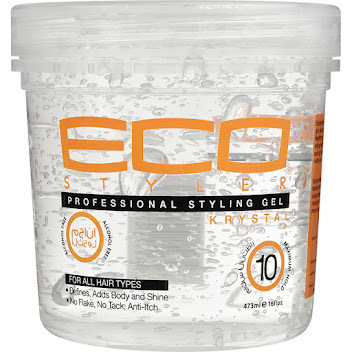 Opt for eco styler gel instead or any edge control that has a good hold. (call 0541458372 to purchase the gorilla snot gel). Move the position of your satin cap when protecting your hair at night. In addition, watch how you place your wig cap. Be sure to shampoo, deep condition and moisturise your edges too. Be sure you extend the products to that side too. Apply your hair growth oils as a preventive measure against breakage. The best way to defend is to attack hence be diligent with the growth oils on that part. 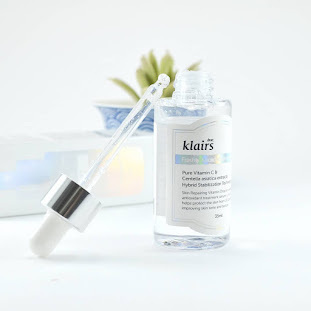 Whether Micellar water, facial wash or facial soap, the important question is which one is best for me. Aside consulting a beauty therapist for this help, you may want to do a trial and error test. Have you tried finding your skin type? Google how to do a skin type test. It's simply washing your face and allowing it to dry naturally. How your skin feels and the oil on it determines your skin type. Each product is formulated for different purposes so know why you need that particular item. Which is the best brand? Read reviews, ask friends and test them. Can You GROW Your Edges From June to December, 2017? Haven seen a lot of progress with my edges, I've decided to extend the challenge to the blog. The rules are quite tough but not impossible Lol. 1. No braid, No Weave, No cornrows. Absolutely nothing except wearing buns which you should also vary. The essence is to stay away from any tension on the edges. 2. Don't relax your edges until the end of the challenge. 3. Apply hair growth oil daily on the edges. You can also massage with a scalp brush. 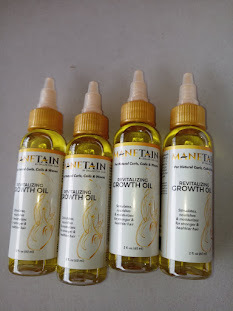 Growth oils include chapter 2000, Jamaican black castor oil, coconut oil etc. You just need to use something for growth. 4. Last rule is we'll check in every week on Saturday. Just comment on the edges growth post that will be published on Saturdays. Post your starting pictures in the comment box. On the LAST DAY of every month, we'll share progress pictures. Ayurveda has become an integral part of the healthy hair community and especially among those who aim for organic or natural products. 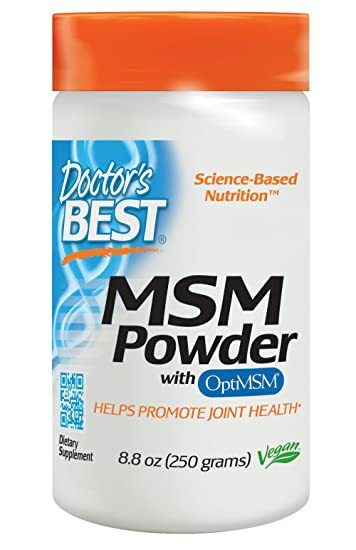 Mixed about three tablespoons of the two powders together. I, actually, mixed enough for my face, hair and whole body and I didn't regret it one bit. I had super soft skin and the mixture didn't strip my hair. I conditioned with cantu sheabutter conditioner (last bit of it). My hair felt like I'd deep conditioned! **Applied creme of nature mango and sheabutter leave in conditioner and Mielle organics hair milk (to buy, call 0541458372). Covered with a scarf to dry it. I really love the feel of my hair and hope to continue to enjoy no setback. Clay masks help to detox your skin and using them about twice a month can be of immense benefit to your face and skin too. 1. Facial cleansing: I use forever Claire hydrating wash( I think I'll switch to the acne wash at the next purchase). 2. Facial scrub: I use either brown sugar tea tree facial scrub or the Queen Helene oat and honey scrub. I use these about four times a week alternating between them. 3. Mix the clay with water or use the Queen Helene mud mask. I allow to sit for about 5-10 minutes and rinse off. If I use the Teiva mask, I leave it for 15 minutes as directed. Every pre shampoo step contributes to moisture retention therefore prepoo and hot oil treatments, though different, both provide the hair with protection against the impact of shampoo as well as retention of moisture. The question a reader posed was whether hot oil treatments are better than prepoo. Another wanted to know if hot oil treatment is faster to do compared to prepoo. The answers to these questions depend on several factors. If you don't heat up your oil but sit under the hooded dryer for 5 minutes on medium to high heat, the oil gets absorbed faster. Coconut oil has become the go to prepoo and hot oil treatment to prevent hygral fatigue. The heat will allow faster absorption of the oil during the heating process. On the other hand, if the oil is preheated before application, the penetration is equally good. So, which one takes less time? The Au Naturale line from Dark and Lovely was sent to me this week. I was sent the shampoo, conditioner, curl pudding and the hair butter. Here is my first impressions of each of the Au Naturale products. If you've been following my blog for a while, you'd know that I've placed a ban on myself with regard to purchasing new hair products. This has come at the right time because my stash has been streamlined thus I can have more experience with these products before a final review. Haven dealt with how I use aloe vera on natural hair, why not show you how you can use aloe vera on relaxed hair too. Do share these "How To" posts with friends and family to get them to maintain healthy hair. Apply on your edges. When you want to restore moisture around the edges, just apply the aloe vera on your edges at night. If you don't mind wet edges in the morning, you can do so. I realised my edges stay fresh looking with the aloe vera. I top up with the edges oil mix and call it a night. Cover with a satin cap to prevent staining your cloth. The beauty of this is that I notice an increase in the growth of the hair at the hairline too. Apply to your scalp and massage for a couple of minutes. I extend to the hair and cover with satin cap. Aloe vera will help soothe your itching scalp as well as promote growth.